" Gambang Kromong and Lenong will be displayed on the anniversary of Untung Jawa"
Ahead of the Untung Jawa Island's anniversary on February 13, a variety of Betawi arts will be held, such as Gambang Kromong (Betawi musical ensemble) and Lenong (Betawi theater), Ondel-ondel effigies and other ornaments. 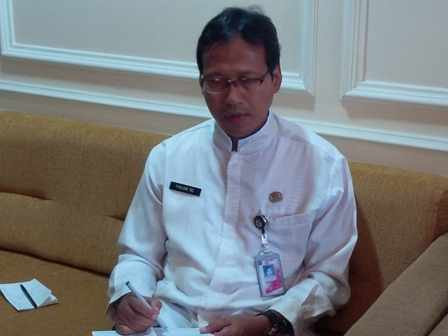 Fadjar Hariwijaya, Head of Seribu Islands Tourism and Culture Sub-dept. expressed Untung Jawa Island is a location in Seribu Islands that becomes national recreation site. Currently, Ministry of Public Works and Housing is focused on arrangement and improvement on some infrastructures in Untung Jawa and Tidung islands, to support national recreation site program. "Gambang Kromong and Lenong will be displayed on the anniversary of Untung Jawa. About accessories and other ornaments, we will discuss it along with other units," he stated, Monday (1/30). For this year, his side has not been able to conduct physical construction but only be run program of culture preservation and art performance. "This is because physical construction is listed in the 2018-2022 Jakarta mid-term regional development plan (RPJMD)," he stated.